A Scottish company that previously used Windows Update to deactivate counterfeit versions of one of its chips is trying a new approach. Back in 2014, FTDI caused considerable upset among electronics enthusiasts after releasing a driver via Windows Update that 'bricked' unauthorised copies of their USB to UART chip, rendering it unusable by setting its ID code to zero. The move led to a backlash among hardware designers and developers and amateur hobbyists such as those who make devices based on the Arduino platform, who said it was heavy-handed and malicious. Now, TechRepublic claims the company has adopted a similar tactic with clones of one of its RS-232 to USB converter chips. In this case the driver does not deactivate the chip but intercepts the intended input and output between the connected device and PC and replaces it with a message that a non-genuine device has been found. TechRepublic says that this signal is generally invisible to the user but disrupts the function of the device - something that could have serious consequences given "the continued use of RS232 devices in industrial control equipment: heavy machinery, electrical grid monitoring, among other uses." "There is a substantial difference between programming a driver to refuse to work with counterfeit chips (zero response), and programming a driver to actively interfere with the normal functioning of a given device," it says, pointing to a risk of "personal injury, equipment damage, or industrial accident." 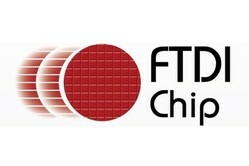 An interview with FTDI chief executive Fred Dart on the Adafruit blog site suggests the company has a different interpretation of the situation. "We’ve now made it easy to spot this by getting our latest drivers to flag any counterfeits by issuing a 'Non Genuine Device' string which makes the issue obvious and saves time all round," he said. "The counterfeit device does not get harmed or re-programmed in any way - he drivers simply refuse to work with recognised counterfeit chips." The latest incident - dubbed FTDIgate 2.0 in some quarters - has also been comprehensively discussed on the EEVblog electronics community forum.